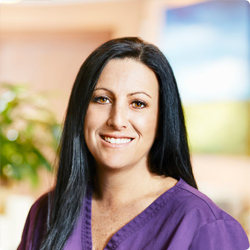 Michelle Pimentel has been working in dentistry since 1995. She has multiple certifications in Radiology, CPR, and OSHA that help her care for patients with excellence. During treatment, Michelle focuses on patient comfort as the most important part of her work. In her spare time, Michelle loves to go camping with her husband and three children.